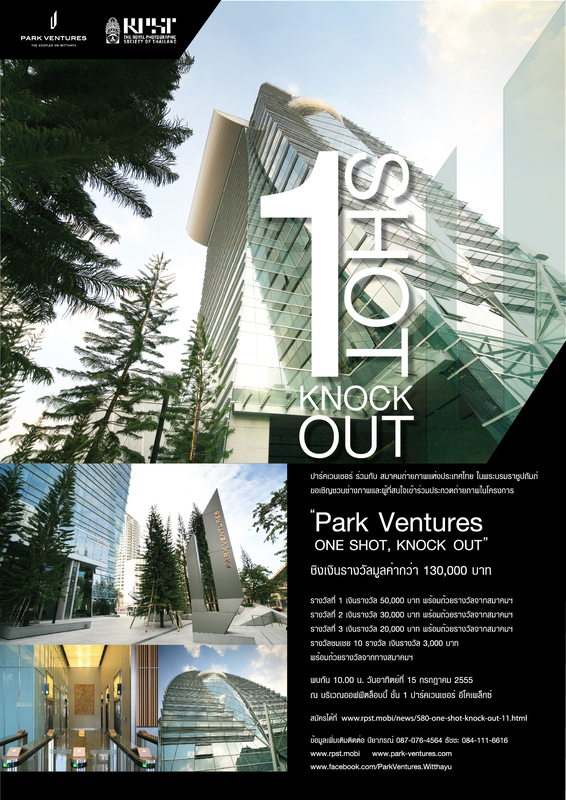 "PARK VENTURES ONE SHOT, KNOCK OUT"
Okura believes in living every moment with the spirit of 'Wa' (Harmony). We invite you to share our culture, our spirit and our philosophy. From Today. "เพลินจิตซิตี้" มอบของขวัญให้คนกรุงเทพฯ ส่งมอบสวนแนวตั้ง (Vertical Garden) บน ถนนสายเพลินจิต โดยความร่วมมือกับกรุงเทพมหานคร ในโครงการ "84 สายถวายใน หลวง"
Five Magnate Businesses on Ploenchit - Wireless area introduces a new landmark in the core of Bangkok "Pleonchit City"
Park Ventures and business aliances helps Japan earthquake & tsunami victims.